Scores in the gradebook can be imported and exported. 2. 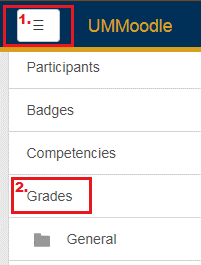 Enter into your course and click “Grades” under the Navigation Drawer. 3. 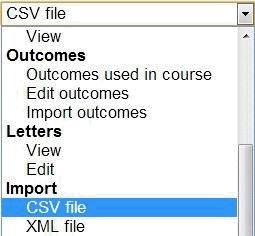 Choose an action “Import” > “CSV file”. 4. Drag and drop your CSV file to the file area or use File Picker to upload your file, and click “Upload grades”. 5. 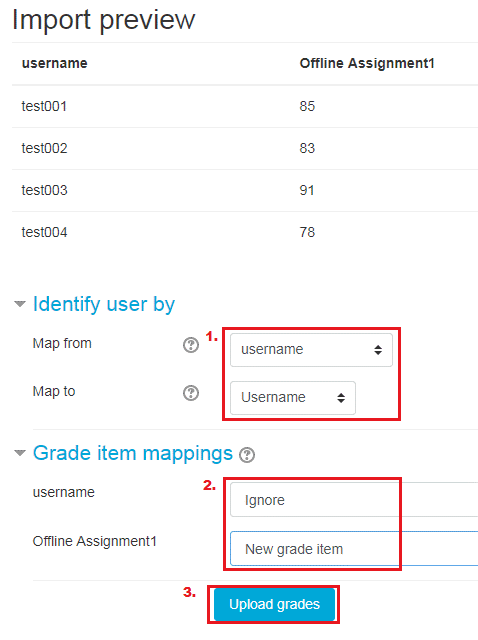 To identify user, map the field ”username” from the CSV file to UMMoodle; For the grade item mappings, set the grade item as ”new grade item” and then click “Upload grades”. 6. Click “Continue”. The new grade item will be imported to your Grade Book in UMMoodle. In order to let our users get familiar with UMMoodle, ICTO will arrange a series of workshops and hand-on practice will also be offered to the participants. For detailed information, please refer to our E-Bulletin.